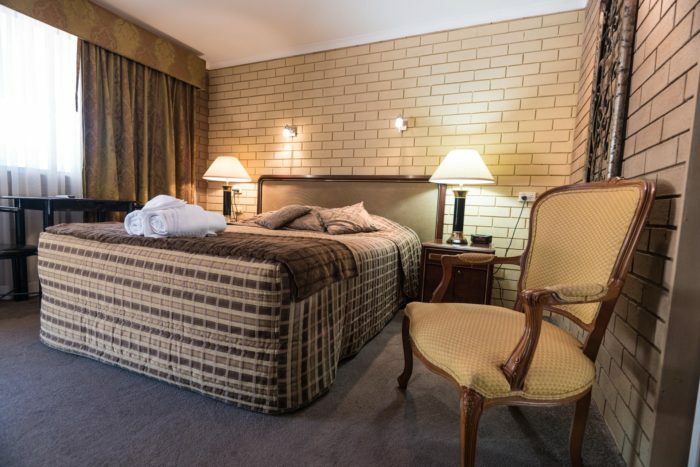 All our Executive Deluxe Rooms have all the facilities you would expect in today’s Motels. Quiet smoke free rooms are clean, comfortable and great value for money. 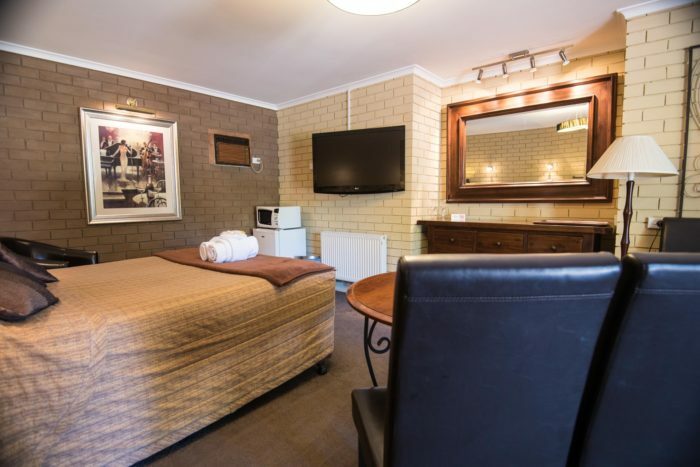 Includes: Leather lounges, table, bar fridge, microwave, tea/coffee facilities, en-suite with spa*, iron, TV, Wireless Internet, silent water heating, air con. Most Deluxe rooms have a Private Verandah.